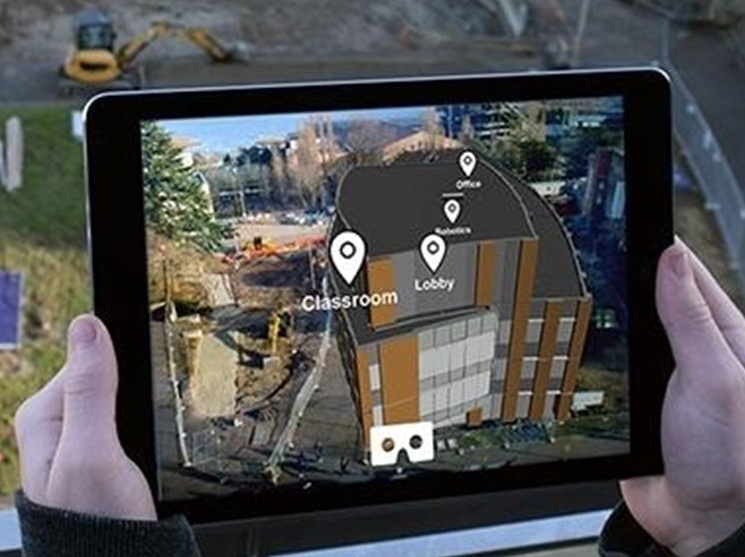 Augmented Reality is not much different the virtual reality but, more connected to the real world with the combination of computer generated visualization and sensory inputs such as sound, graphics and video. With the increased popularity of the smart phones and its applications, major global firms like Microsoft, Samsung, Google and Apple have shown their interest in the development and release of augmented reality based products and services. Applications and games such as Pokémon go which is well known by all age group and the devices to support Augmented Reality like Microsoft HoloLens and Google glass having great attention although they are not in production. Rising penetration of smart phones and inclination towards the new technology for utility and entertainment showcases the huge growth opportunity for global Augmented Reality market. Many industries are using this technology to demonstrate their products and services to enhance the customer service and experience. While in the aviation and military sector this technology is using as simulators for training purposes to provide real world experience. The AR technology is much cheaper than the VR as it doesn't require any additional hardware like oculus and Google cardboards for the virtual reality experience. Growing penetration of smart phones and its importance in day-to-day life bolster the demand for technologies and services related to smart phones. Smart phones share the 86% of mobile market in 2016 globally. The games and utility apps based on VR and AR gained popularity in recent years which shows the potential growth of global augmented reality market in nearby future. The huge investments on R&D of AR technology by huge tech giants such as Microsoft, Google and Apple on both hardware and software platforms is expected to drive the growth of global augmented reality market. In 2016 about USD 1.3 billion was invested over the development of AR technology which is estimated to reach about USD 1.7 billion in 2017. Wide range of applications of AR technology to cater the needs of healthcare, education and entertainment sector anticipated to impel the growth of augmented reality market in coming future. However, growing numbers of augmented reality software developers, provide various options for AR apps and software but lacks in standardization regarding the size and compatibly to the wearable devices and handsets is one the major challenge for the augmented reality market growth. The global augment and virtual reality market accounted for USD 5.2 billion in 2016 in which augmented reality market share more than 40% share and accounted for USD 2.1 billion in 2016. Further the global augmented reality market is expected to expand at a CAGR of 60.9% to reach USD 94.6 billion over the forecast period i.e.2016-2024. Geographically, North America accounted for the highest revenue share in global augmented reality market in 2016 with more than USD 1.3 billion revenue generated, closely followed by the Europe with more than 18% revenue share in global augmented reality market. U.K dominates the Europe region with 5% market share in Europe. Asia Pacific is expected to be the fastest growing market over the during forecast period owing to rapid adoption of new technologies in fastest growing economies and developed countries such as Japan, Korea, China and India among others. China dominates the Asia Pacific region with more than 30% share in Asia Pacific region's augmented reality market.